The passion of the family Dallago Leonardo and Talita for the mountain permitted to rebuild a ruin of the first years of 900 which was used as a shelter by local families in summer during the haymaking season. 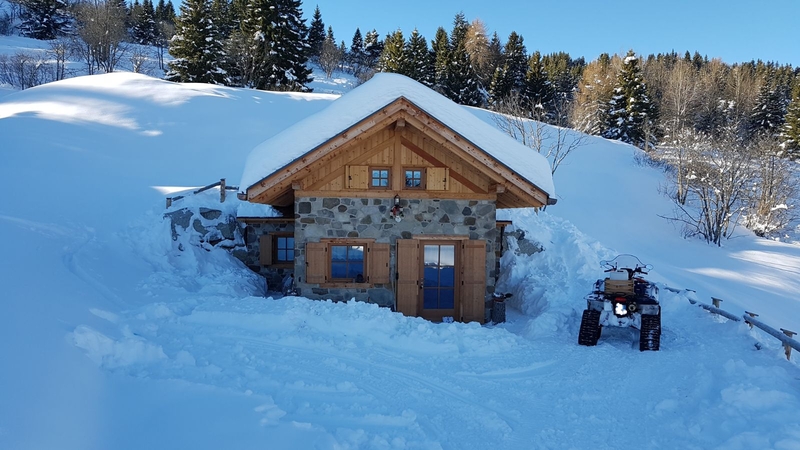 Chalet al Mont –Bait dei Storni offers you the possibility to share the same passion and also to be in contact with nature in total peace and tranquility, enjoying the beautiful structure with all its comfort. 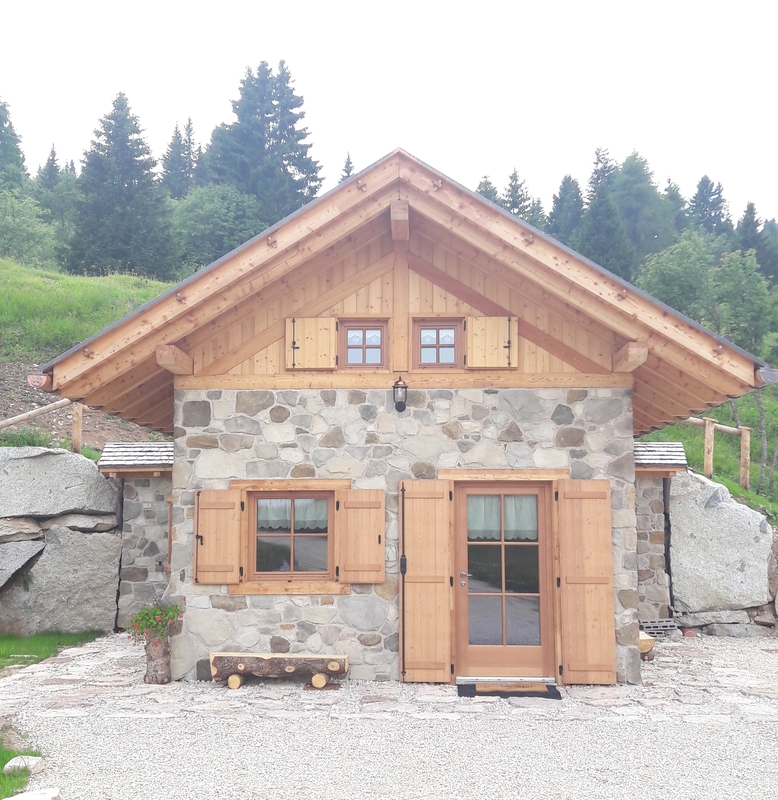 Simplicity and respect of the local traditions such as the use of a fireplace, of larch wood and stone, will allow you to “breath” the beauty of this territory. Surrounded by nature. Not only outside, but also from the windows, you can admire different types of animals. 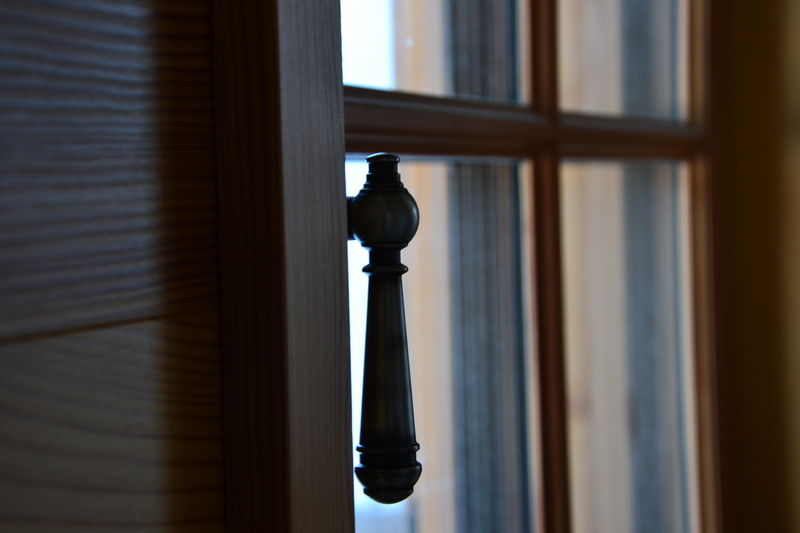 Chalet al Mont is located in Val di Non, 1600 meters above the sea level, at the foot of Mount Peller, in the Dolomites of Brenta, worldwide heritage of Unesco. It is almost 8 Km from Tuenno ( village of Ville d’Anaunia) and it can be reachable by car travelling along a mountain road partly paved in asphalt and partly covered in concrete.